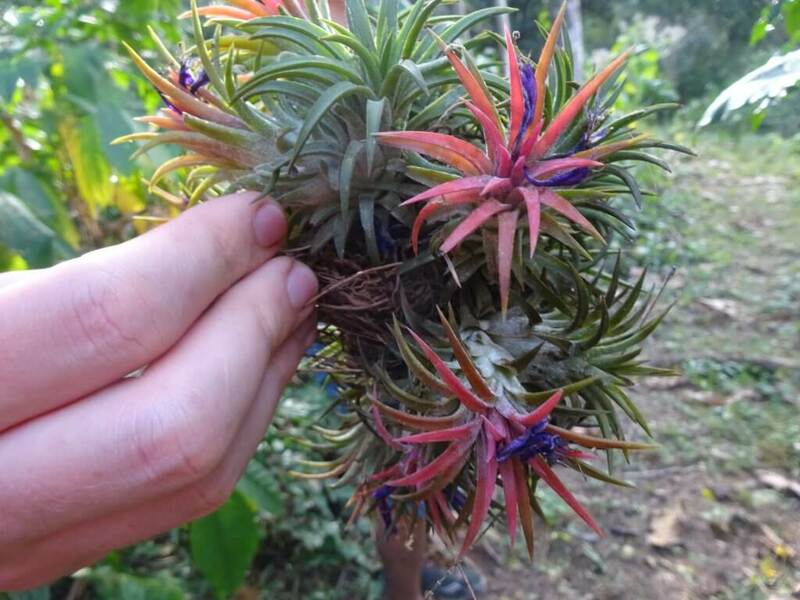 I love getting active when travelling, and trying new things. 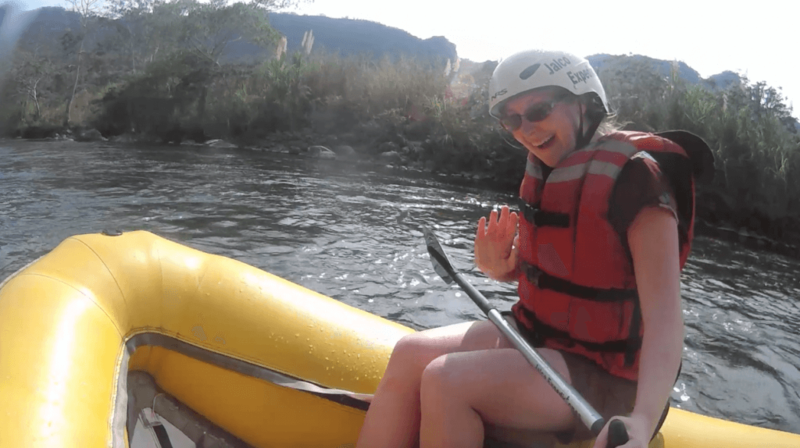 As we were travelling around a lot of Mexico, I’d looked up best places for rafting – I love rafting though I don’t manage to do it as often as I would like. 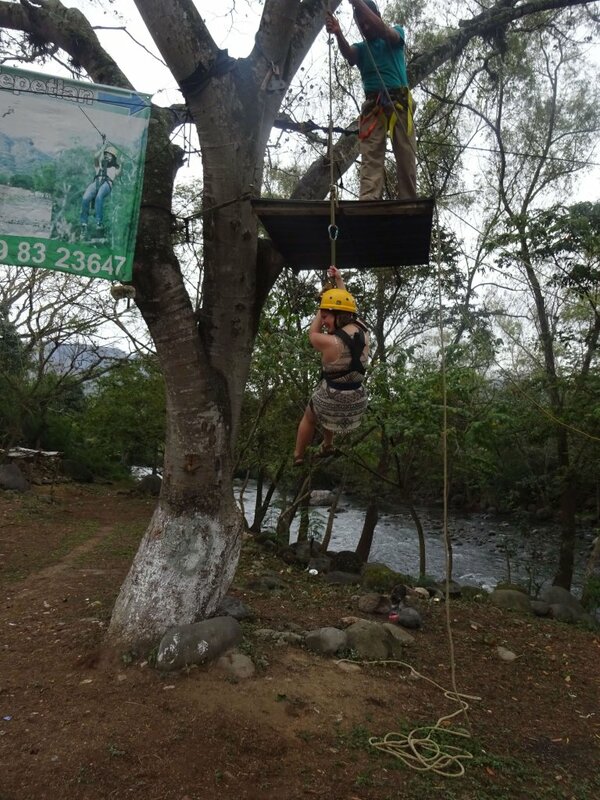 I’d found that Veracruz state is good for various adventure sports and the town of Jalcomulco sounded like a good choice. So me and Dave did “A Little Bit of Everything” with Jalco Expediciones. 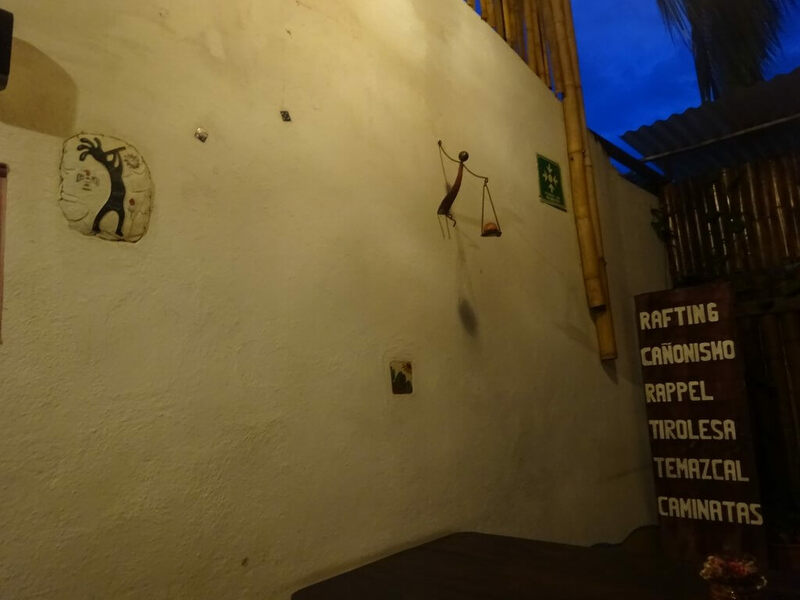 This meant we would spend one night in Jalcomulco and do three activities. Sounded like a good plan! Disclaimer: I was hosted on A Little Bit Of Everything with Jalco Expediciones in exchange for unbiased and honest coverage. This post tells of my personal experience and all opinions are my own. Arriving in the small town of Jalcomulco, from Xalapa, our taxi driver had to ask for directions. But the town was so small I doubt it wouldn’t have taken ten minutes to find even if there was no one to ask. It was basically head down the road and if you hit the river you’ve gone too far. Well, there was a left turn too, but that was just before the river. As we pulled up, several people (and two dogs) came out to meet us. Gabriela (who’d I’d arranged everything with) introduced us to everyone, and took us into the building. 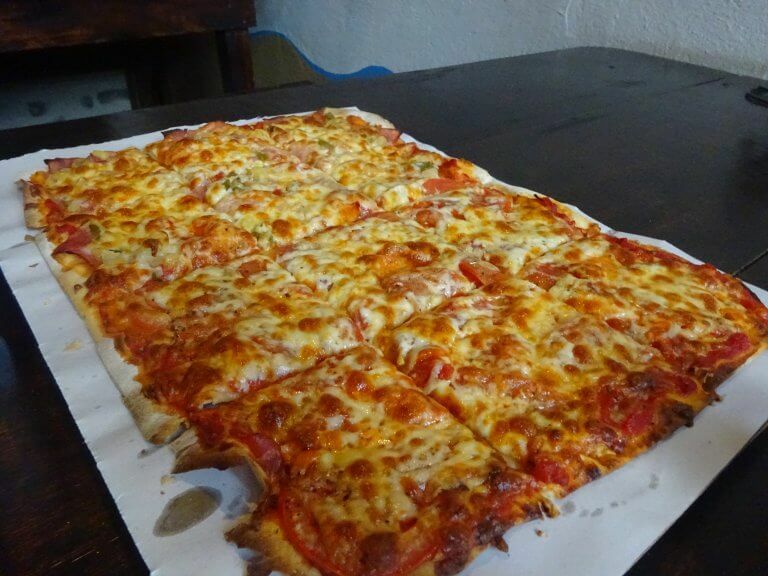 Jalco Expediciones is not just an Adventure Tour group, but a Pizzaria too. Gabriela showed us around, with the two dogs Tobias and Nicholas in tow. As it was just me and Dave booked in that day we could plan the day however we wanted. 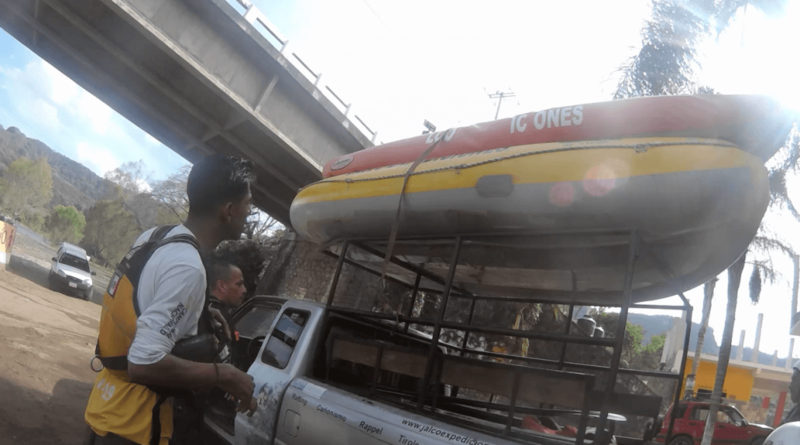 So it was up to us whether to go and check into the hotel first or leave our bags at Jalco Expediciones and start with the rafting. We choose to just get going! Of course, the first thing to do was to sign the paperwork. You know, the stuff that says “I am choosing of my own free will to do an adrenaline sport, so it is my own fault if I get injured or die.” Yeah, that one. It always feels a little weird signing that, don’t you think? Soon we were changed into swimming gear and ready to go. 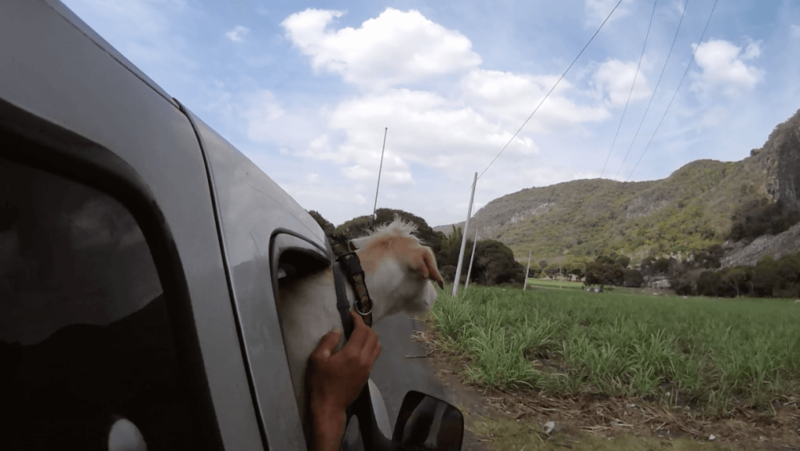 So we hopped into the van with the instructors (and dogs) and off we went. We travelled back up the road we had come down, which I always find slightly amusing. But before we got too far we took a turn off road and went down to the river. As the rafts were set up we were given a safety briefing by Mario, who is Gabriela’s husband and co-founder of the company. 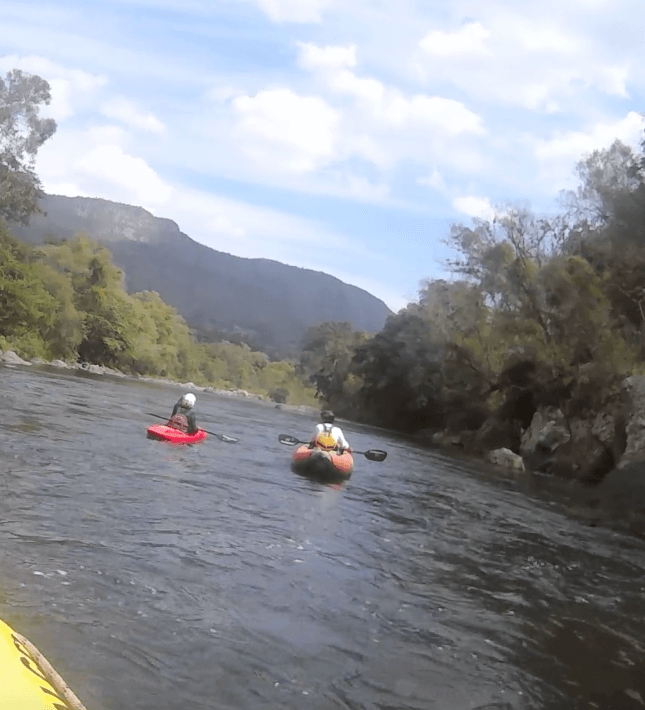 It was the usual stuff really, but he also told us about the river – the part we would be rafting down is the Fish River. 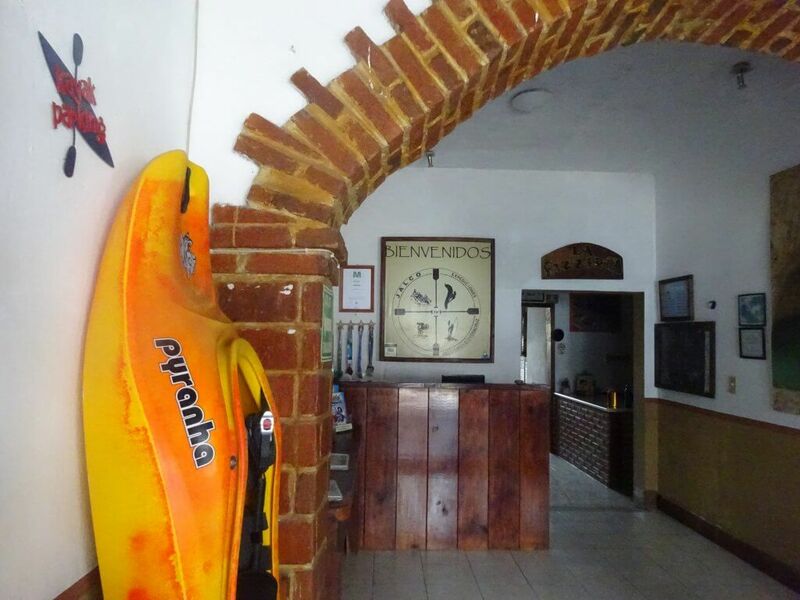 We would head back to Jalcomulco down the river and finish near their office, where Gabriela would meet us. He would be in the raft with us, and there would be two others kayaking down, one was training. 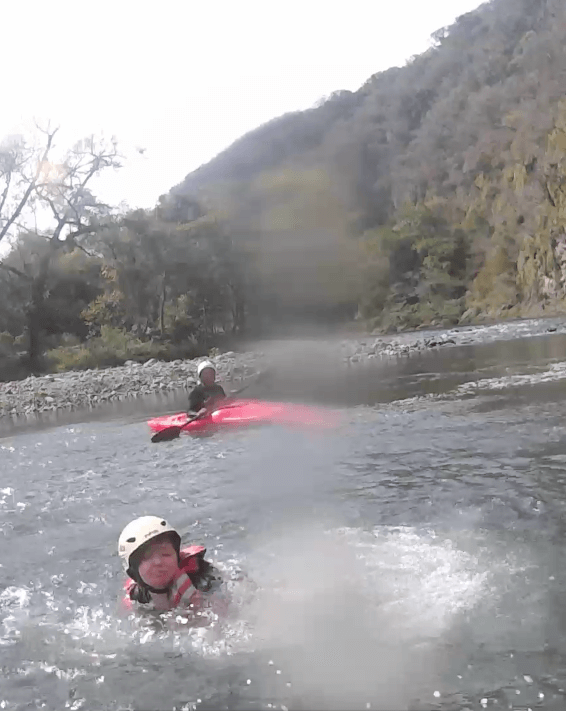 Before we got into the river, we had to have a quick training session. This was basically getting in the raft with Mario saying the instructions and us doing what he said. So like a ‘dry run’. The rafting was amazing! Mario was great and so much fun. There were sections of rapids and calmer sections where we could swim. Mario told us the names of the rapids, such as “Egg”, “Washing Machine” and “White Witch”. I love how they had funny names. We got soaked, before we even went swimming! Mario made sure we had a great time and told us about the river in quieter sections. One thing I do remember was seeing a lot of plastic bottles floating in the river, at first I found this shocking, but then Mario showed us something. He pulled out a bottle and attached to it was a rope, he pulled up this rope and at the end was a box. This is a way of catching fish and shrimp. The bottles on the river are not all litter, many are these floats so that fishermen can find their catch. My favourite rapid was the White Witch – this was quite a difficult rapid. The rapid went down and then did a sharp turn to the right. 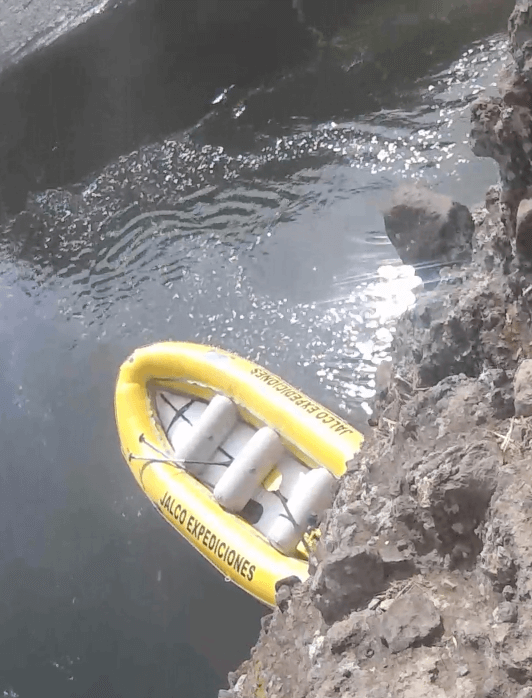 It was quite a scary manoeuvre as it looked like our raft would hit the rock. 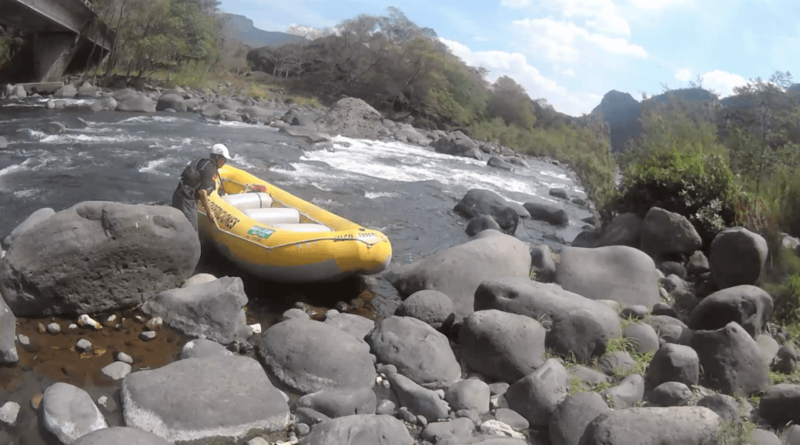 But Mario knew just what to do, as we headed to the rock and certain death he told us to reverse paddle, which took us into a more central part of the flow and soon we were out of the rapid completely unharmed. Just with a massive adrenaline rush! 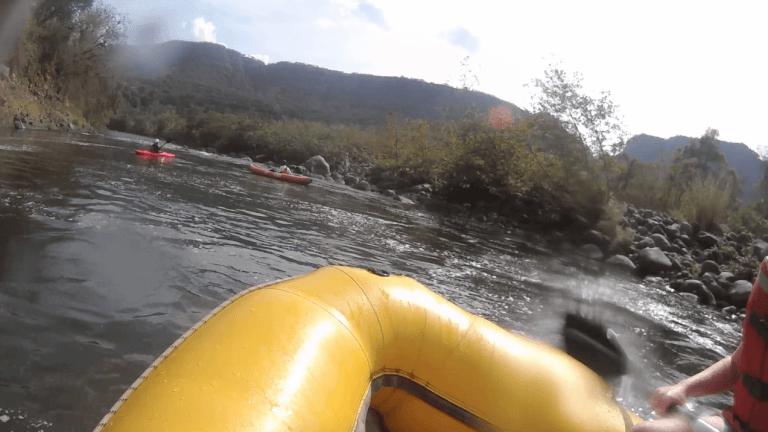 Another great part of the rafting was not actually a rapid. There was a huge rock in the river, Mario told us (and encouraged us) to climb up and jump off. He told us it’s completely safe and apparently good fun. So of course we both had to have a go. We’d only regret it if we didn’t! Unfortunately for this, I had to take my glasses off and my vision is terrible. So Dave led the way, well scrambled ahead and left me trying to tackle the rock with poor vision. But we both made it to the top quickly. From below, Mario directed us to the edge that could be jumped from. It seemed a lot higher from the top than the raft! Dave went first, and of course he made it look so easy. I had a little difficulty, mainly as I couldn’t see too well. But I knew I had to do it sooner rather than later. The longer I wait the more my head gets in control and the less likely I am to do it. So jump I did! It was over so quickly. My feet hit the water and I ended up rolling – I’ve no idea how. I also felt my sandals slip off! Luckily one got caught on my foot, so I managed to get that off. But as I got back to the raft, I realised that having one sandal isn’t exactly any better than having none! Then I noticed my other sandal floating nearby – how lucky is that? I didn’t expect them to float! 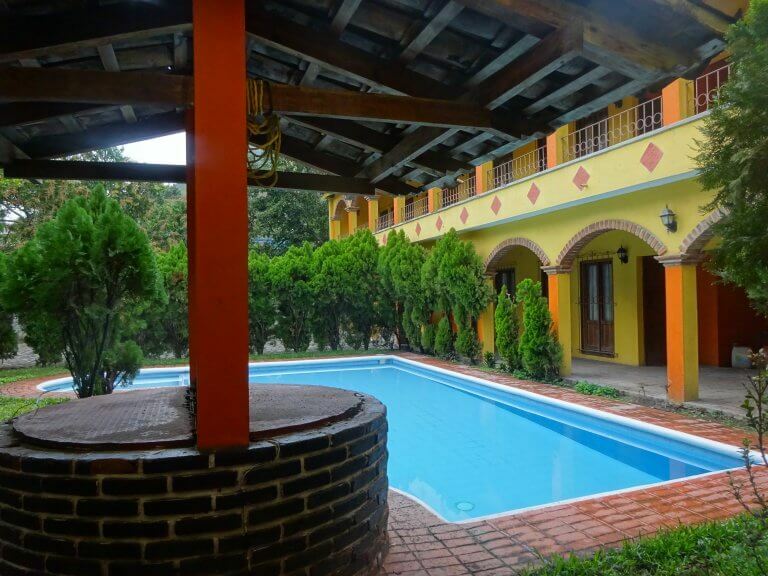 A few fun rapids later and we we back in Jalcomulco. We grounded the raft on the bank near a restaurant, where Gabriela was waiting to meet us. 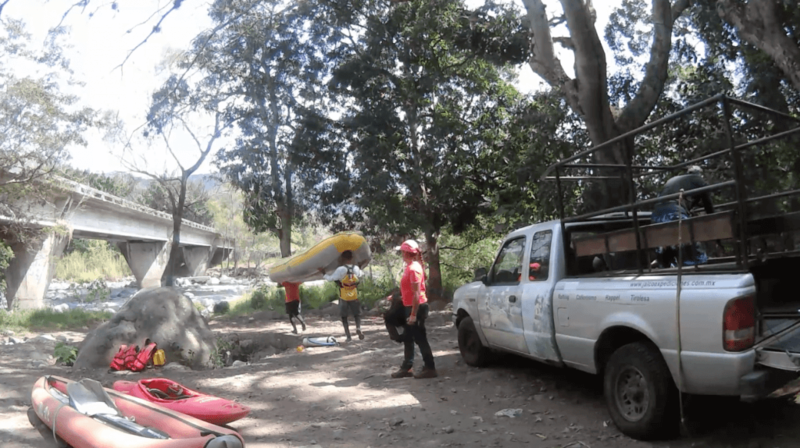 Once the raft and paddles were back in the van me, Dave and Gabriela walked back to the office. 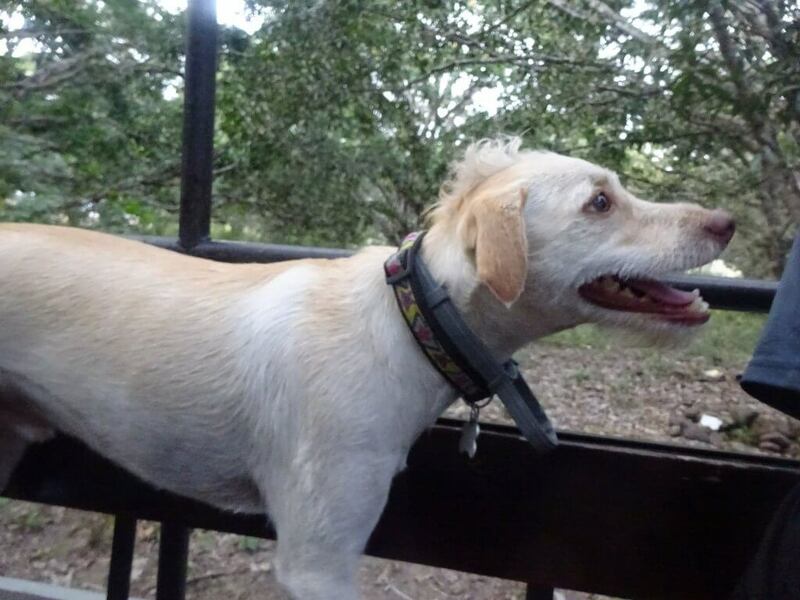 It was only a short walk, but Gabriela was very talkative. She told us about the importance of the river. We had seen some people fishing as we descended. 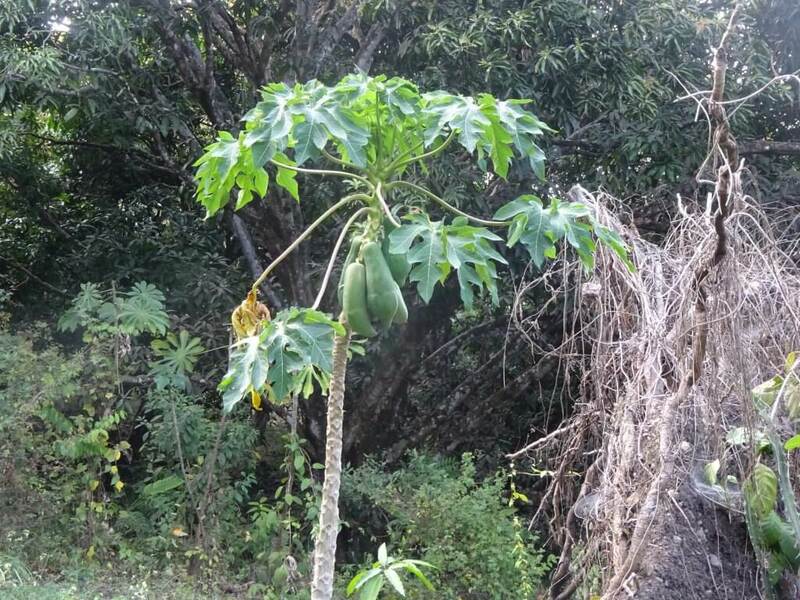 The river is vital for Jalcomulco to thrive, as it is used for fishing, farming and watersports. It basically drives the economy of this town and the surrounding towns. Once we we back in the office Gabriela told us that we had some time before our next activity, so we could check into our hotel and get changed whilst they prepared everything. Sounded like a plan. So Gabriela drove us the short way and told us a time to be back in the office for. The hotel was called Hotel Los Alcatraces and it turned out we had the place completely to ourselves. It was a great hotel, I was just happy that there was a pool and the shower had hot water. A complete luxury compared to some of the places we’d stayed in so far on this trip. 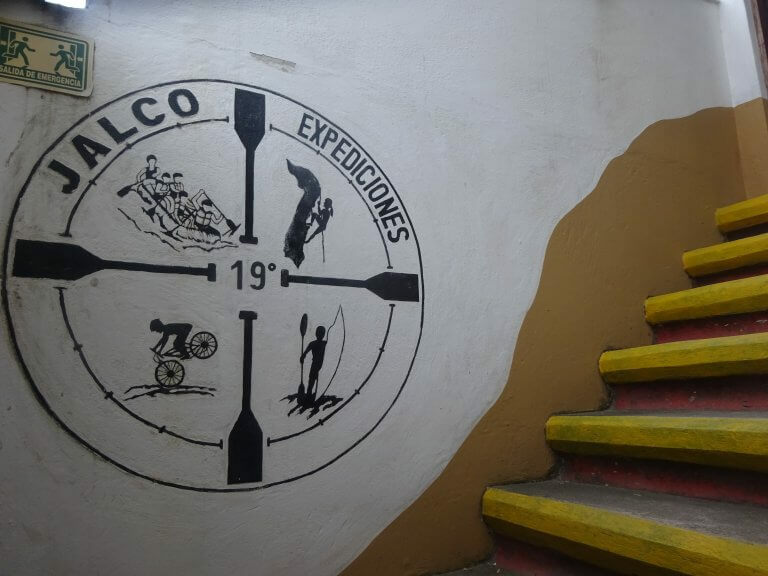 So clean, dry and refreshed we headed back to the Jalco Expediciones office. Somehow we nearly turned up the wrong street. And I thought the town was so small you wouldn’t be able to get lost! But luckily we realised and were back at the office in no time. When we arrived the team were just getting the final bits sorted. Gabriela told us that she would not be joining us, instead she would be getting our dinner sorted, as the office also doubled up as a Pizzeria. 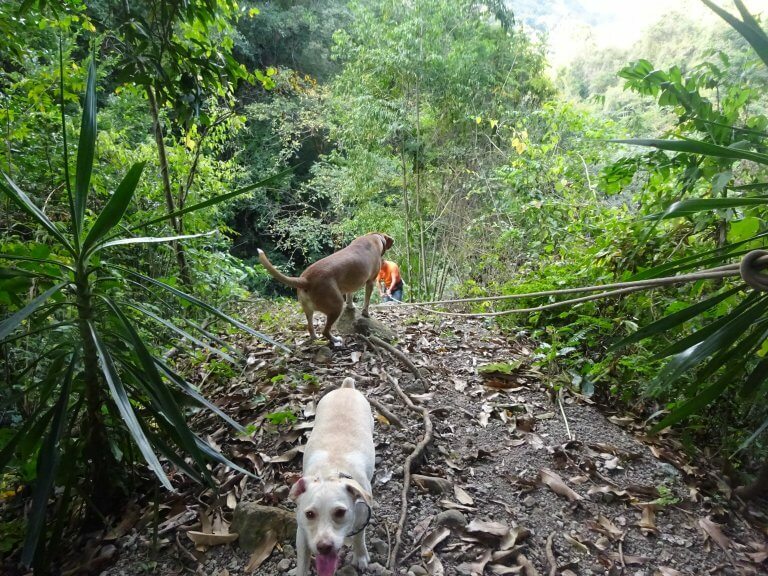 So within a few minutes we were back in the car, with Mario, the two other guides and (of course) the dogs. We drove across the river and out of the town, we didn’t go too far before we were parked up. Then it was a walk to where we would rappel. 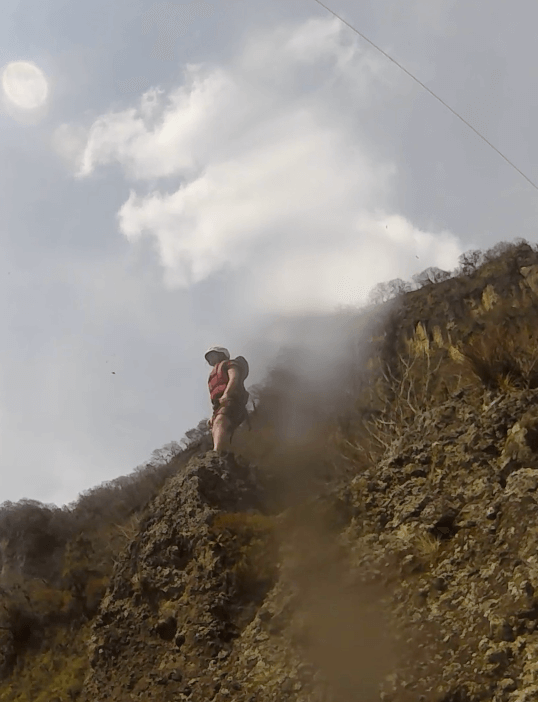 As we walked to the rappelling site, Mario was great. He pointed everything out. It probably took twice as long to get there because of this! 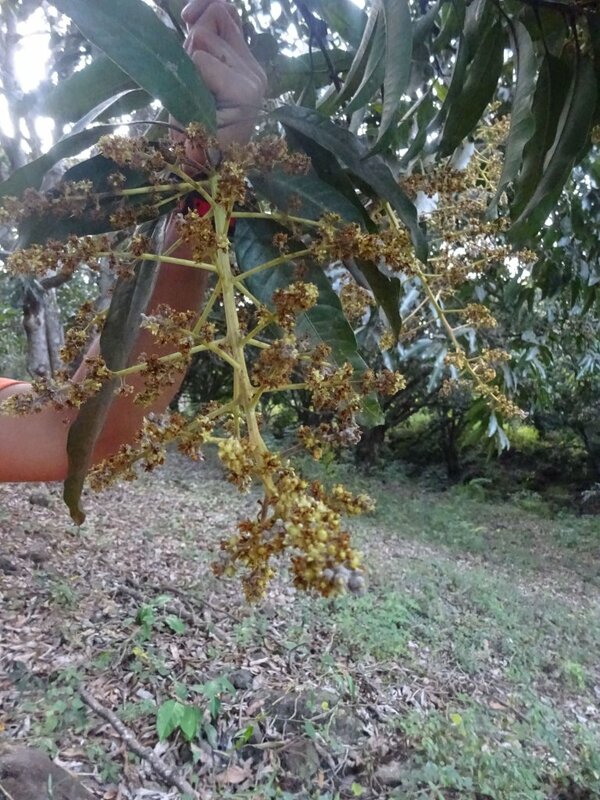 He pointed out mango trees, both with fruit and those still in flower, bees and numerous flowers. He answered our questions and obviously loved the area. There was one bit of the path, just before we reached the rappel site, where we were walking along a cliff edge. But we made it safely across. We reached the cliff a little behind the other two guides, who had set up all the equipment. 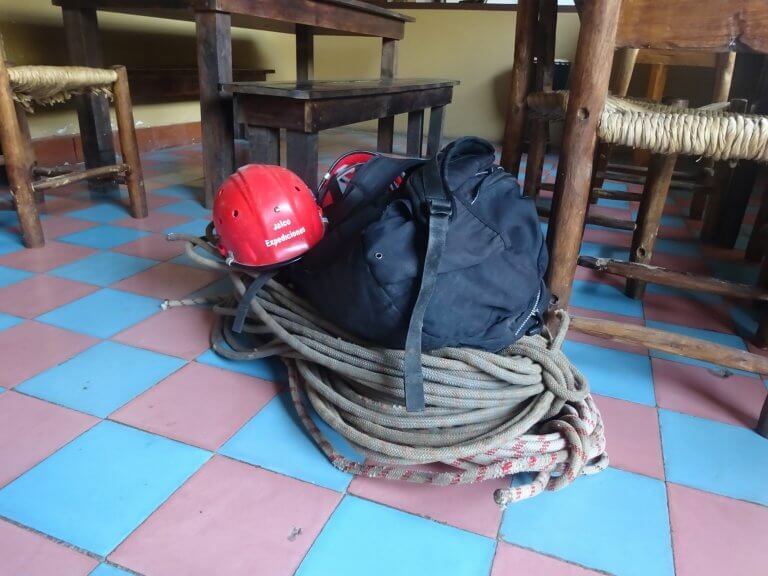 Now it was time to put our helmets and harnesses on and try rappelling. Mario went through everything in perfect detail, making sure we understood it all. 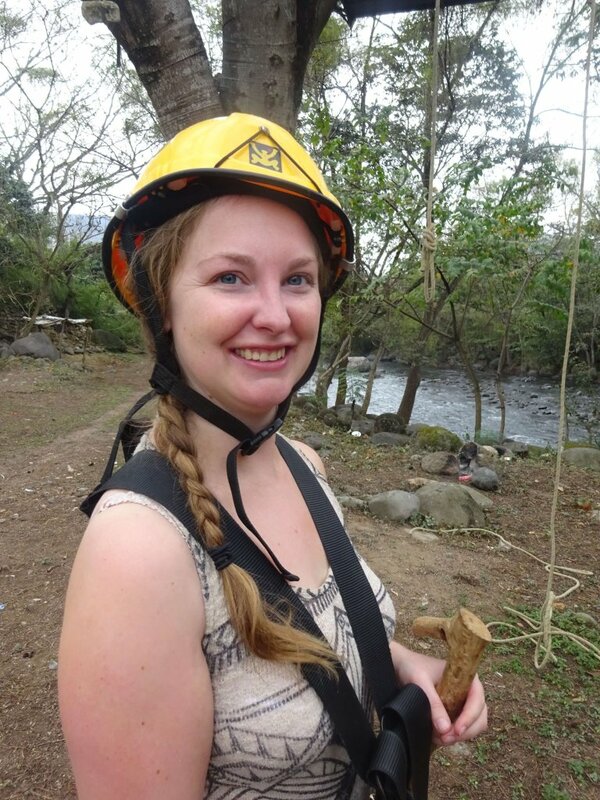 This was our first time rappelling, so I was a little nervous. The important bits I took from Mario were that the rope goes through a figure of eight loop, which stops it sliding. 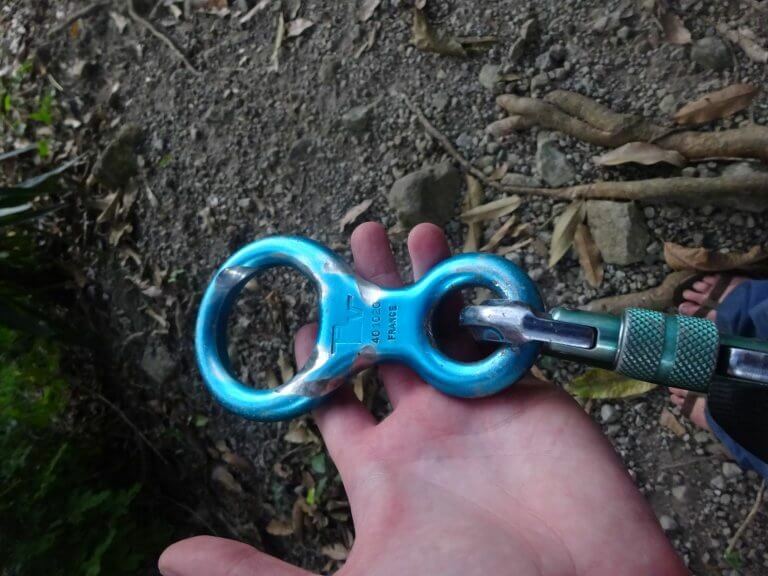 I won’t pretend to fully understand the ins and outs, but the rope went through the large hole and the small hole was clipped onto the harness, the rope going through this clip too. Because of how the rope was put through, it created friction, so gave control of the descent. Also, if you keep your hand that is feeding the rope behind your back it’s easier to stop. Lastly, if the rope failed, Mario had another rope and then the guide at the bottom had another, so chances that we would survive were good! Mario then went to the edge and waited for us to come down and be clipped into place. I went first… I was clipped on to the first rope and started walking backwards to where Mario was waiting. It wasn’t far, but seemed to take ages! Once I arrived Mario attached me properly, with the figure of eight loop and I was clipped fully. Mario checked I was ready to go and told me to keep my stronger arm behind my back, holding the rope, this would be my control. My left hand would hold the rope in front of me. I reached to cliff edge, Nicholas had tried to follow, but it was too steep, so he started barking instead. Mario told me to lean back and trust the harness. Not the easiest thing to do! But I managed it and soon I was taking baby steps down the cliff. I was going very slowly, it was so scary! 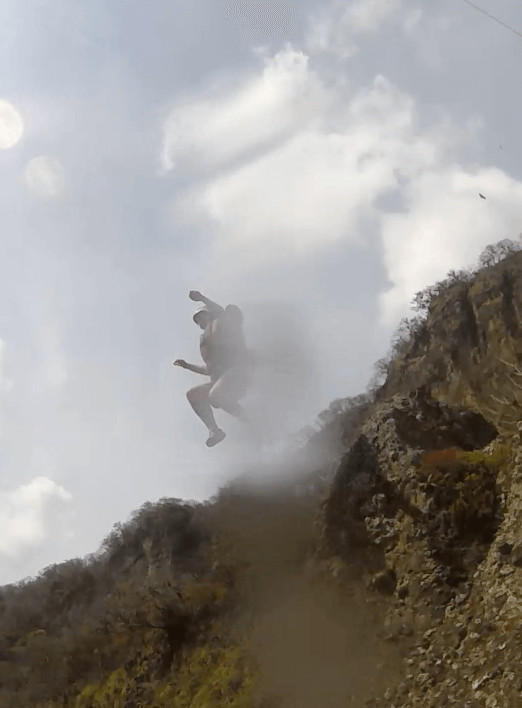 All of a sudden the cliff went in and Mario shouted down to me – he told me to push away from the cliff and start jumping. Again, one of the most difficult things I have done! But soon I was back on the ground with one of the guides unclipping me. After being unclipped I went stood a bit behind the guide and watched Dave come down. Now this was to be the scariest moment! On one of his first few steps Dave slipped! 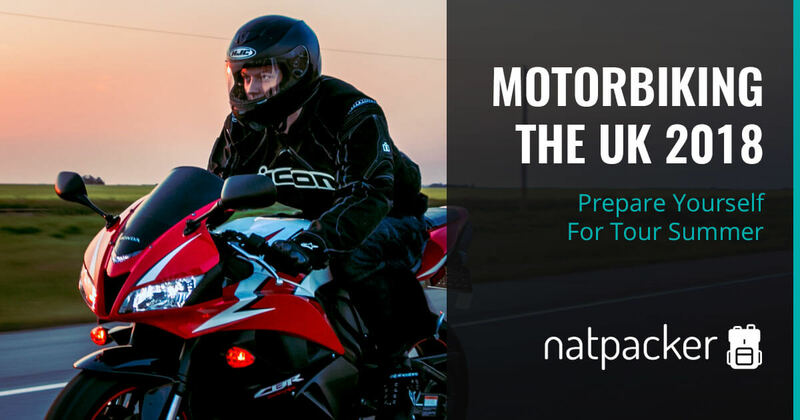 My heart jumped into my mouth – I’ve never understood that phrase before! But with Mario’s help he soon righted himself and was down in a few minutes. The guide then showed us the way back up, which was not the easiest! Nicholas and Tobias met us at the top, then we were asked if we wanted to go again. Both in the midst of an adrenaline rush, we were well up for it! So we both went twice more. Each time was more enjoyable that the last. With each descent we became quicker and were jumping down from higher up. Nicholas followed us as far as he could each time too and then barked as he could come no further! I could’ve gone up and down all day. Although I was pretty tired after three goes. Rappelling takes a lot more energy than I’d imagined. It was so much fun though and definitely something I want to do more of. So aching and a little tired, we headed back to the car. We were definitely ready for tea now! As we got to the car Tobias jumped in the back. He seemed to really enjoy the ride back with the wind blowing in his hair. We were back at the office/pizzeria in no time, Gabriela told us to go sit down and promptly brought us some beer. Just what we needed after a long day of activities! Mario came and joined us as Gabriela finished the pizzas. In just a short while the table was laden with pizza. Lots of pizza. 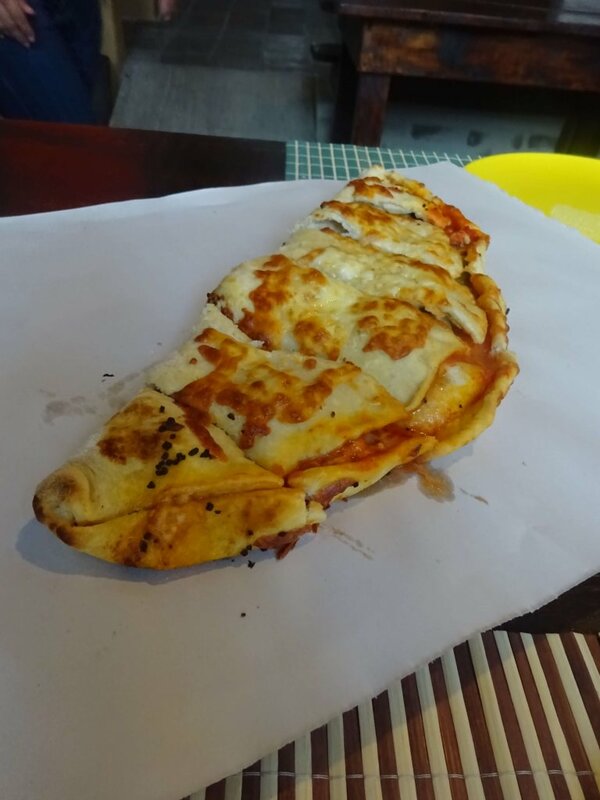 There was a huge pizza that had two flavours – a Hawaiian with the Mexican twist of chilis and a simple cheese and tomato. A vegetable calzone was brought to the table too. Both were huge! Gabriela told us that both her and Mario had travelled to Italy and learned to cook there. The pizzas were amazing and there was more than enough to go around. I don’t know when I last had such a good pizza. Seriously, I know I’m going on about it a lot but I can’t find the words for how amazing the pizza was! As we all ate our fill of amazing pizza, and had a beer or two, we chatted about many things. But there are two things that really stuck in my mind. Gabriela and Mario told us about how Jalco Expediciones works, well how the town of Jalcomulco works. And it sounds great. All the companies help each other , they have formed a ‘cluster’, so instead of competing, they support each other. As most of the business are small, family owned companies, this is really important. 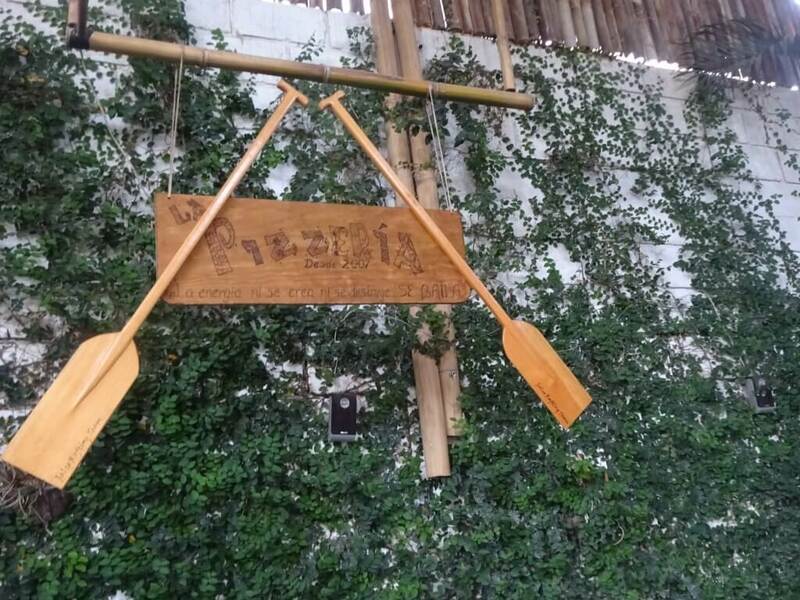 So if one rafting company is full, they will join with another, rather than turning the customer away. They have a range of hotels they use for their trips, so they support a few. For a small town this seems like a great idea. Another interesting story that they told us was about the river that the town is on. 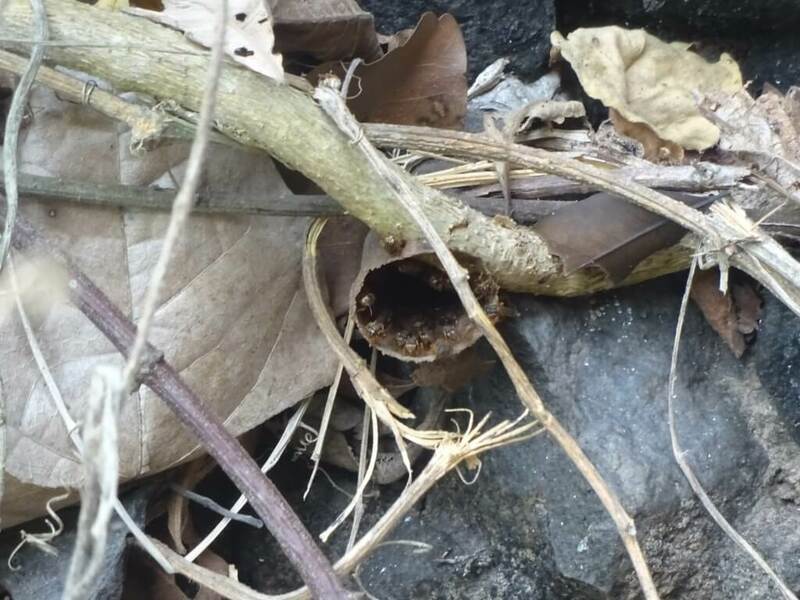 Put simply, the river and the towns surrounding it are in danger. The river is vital for the towns economy and not just because of white water rafting and the tourist trade. Locals really on it for fishing and agriculture too. Unfortunately, in their wisdom, the Veracruz government approved a contract with a Brazilian company to dam the river for hydropower. You can imagine what a devastating effect this would have on the towns and the people. The river is the source of many people’s livelihood. The Brazilian company have said that they would open the dam on certain days at certain times, which may help the rafting companies a little, but how that would help fishing and agriculture is beyond me! So, although the locals protested this decision, the government obviously thinks that it knows best. And so work began on the dam, but they tried to keep this quiet and hide it from the locals. Luckily this did not work. On the 20th January 2014 hundreds of locals set up camp on the Tuzamapa-Jalcomulco highway next to the river. And it has not moved since. At the time of writing they had been there for over four years! Day and night locals volunteer to watch the river. The contract has not been cancelled and the locals will not back down. And I hope they never do. We passed this camp on the way to Jalcomulco and I was glad to learn what it was. The dam would ruin everything here. 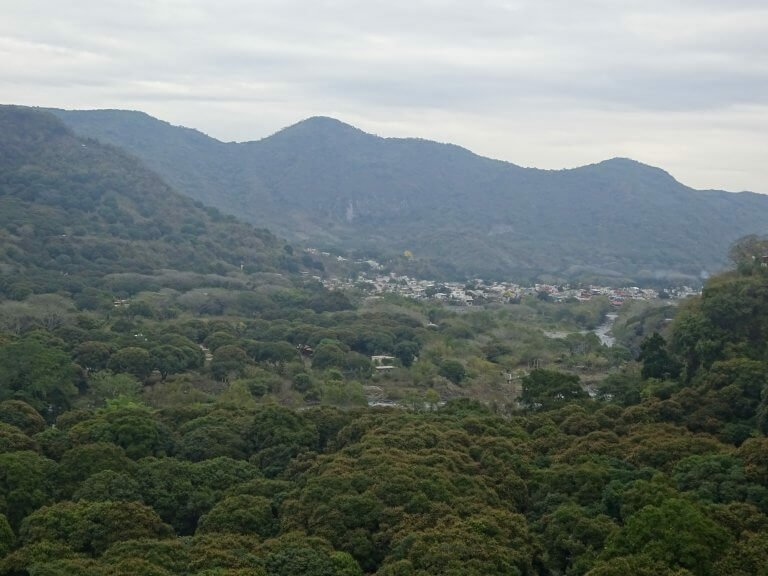 Jalcomulco is only small, but it is growing. The tourist trade is really helping. If you ask me it really could become Mexico’s answer to Queenstown. It is a beautiful place with lots to do around the town. But without the river, everything will collapse. The night drew on… So after a few hours of just chatting the night away me and Dave said our goodbyes and headed back to the hotel. This time we didn’t make a wrong turn at all! I was very impressed with us. It was a beautiful night. The sky was clear and the moon was full. It was still warm and although we were both tired we were also still buzzing from the day’s adventure. So we decided to take advantage of the pool. Although the water was cold, it made a brilliant end to the day. We stayed in the pool for quite some time, though I have no idea how long! But eventually, tired and happy, we climbed out and headed back to the room for a much needed and well deserved sleep. The next day we arrived back at the office nice and early. Luckily, since we were still the only ones in the hotel we were able to leave our bags there for as long as we wanted. So we didn’t have to take them to the office. Gabriela met us, with Nicholas and Tobias. She told us that Mario wouldn’t be with us today, as him and many of the other rafters in the area were litter picking. They were essentially doing the same thing we did the day before, only picking up litter along the way. The locals really do care for and respect the river, as it is so important to them. 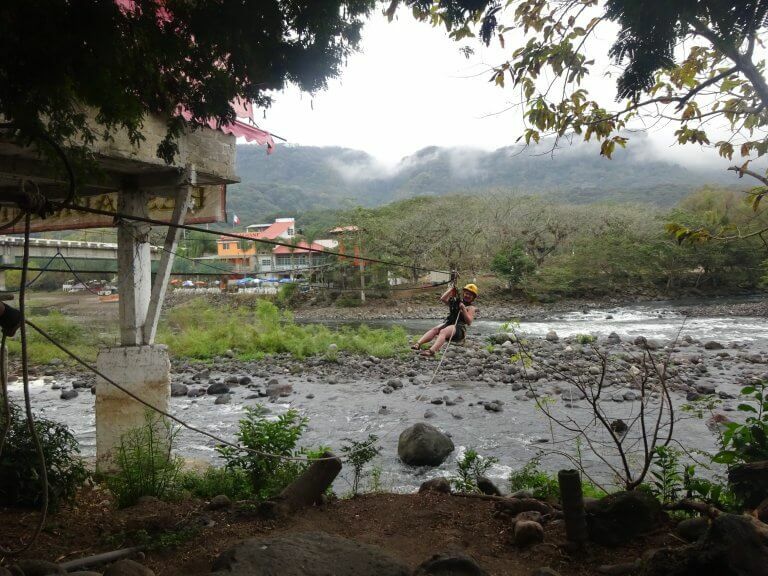 We had ziplining left to do today. This would actually be with a different company, part of the ‘cluster’. We would be doing this with Tirolesa Tepetlan. It was a short walk to the ziplines. Nicholas and Tobias enjoyed the walk there. 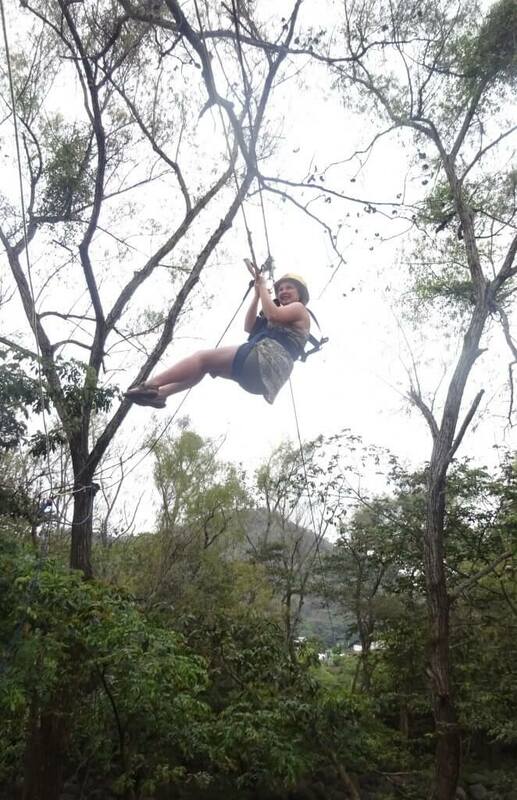 The zipline was fun from the start. Mine and Dave’s Spanish isn’t great and the guys that were running the activity spoke no English. But between body language and hand gestures we were all able to get by. First we got into all the equipment. Harness, hard hat and we were both given a stick. Not in the least bit confusing. The sticks were kind of a V-shape, with one side much longer than the other. I had no idea why we had been given these. After we were all geared up, we climbed up to the platform. We could see the line disappearing off, it didn’t look too long at all. One of the guys attached himself and went zipping off. My first impression was “I hope that’s not the whole thing”. Before I was attached on, the remaining guy was gesturing and speaking to us. He had his stick in hand and hooked it on the wire. Me and Dave looked at each other, was he saying to use the stick as a brake? Through more gesturing and picking up the odd Spanish word we realised that this is exactly what he was saying! It was starting to look like this would be great fun! Soon I was all clipped up, with my stick brake in hand, ready to go. It took a few more minutes to figure out the correct way to go, with the language barrier. But it was easy, I just had to sit down in the harness and then lift my feet. So away I went. As I neared the landing platform the guy waiting started signalling, so I hooked my stick over the wire. I must say, the brake worked rather well! Though I stopped quite a bit before the platform, but this was correct. By a clever pulley system another rope was directed towards me, and I grabbed it. Unfortunately as the guy started pulling me in I lost my grip! Somehow I then ended up further away. The rope was fed out as far as possible, but I had to do some fun swinging and maneuvering to grab a hold again. Eventually I made it to the platform and was unclipped. Then I noticed that there was another zipline. This made me happy, as the first one wasn’t that exciting, so it’s obviously the one to check you can manage it and won’t freak out. Dave was down on the platform in no time and he didn’t lose his grip on the rope! The guy who had clipped us up followed. 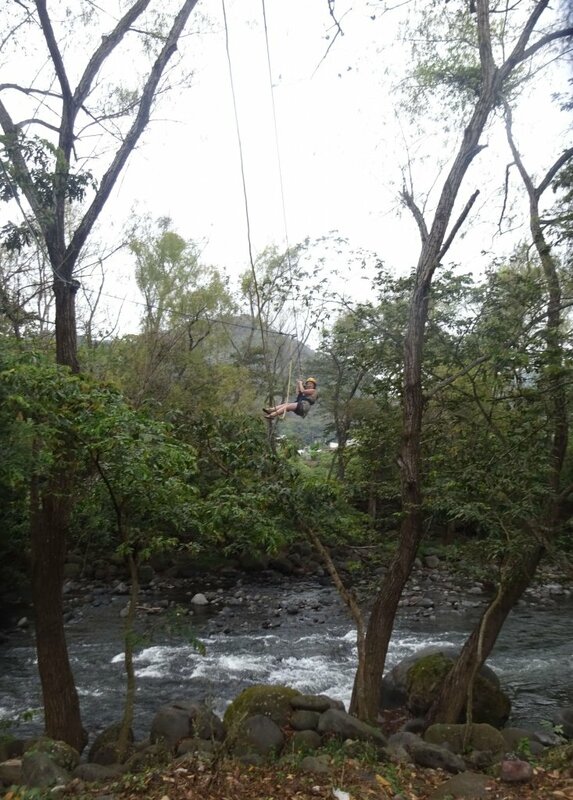 The second zipline went over the river and was much more fun. I think it was quicker, but it was definitely longer. The best part of this one was actually getting down from the platform. The platform was up a tree and there was no ladder! A pulley system had been set up, and I was lowered down from the tree. The guy just nimbly jumped down after he’d lowered me and Dave. Then we walked over to another tree. And the guy nimbley hopped up. I couldn’t see any pulley system and was just starting to think “There’s no way I can jump up there like that” when a rope ladder was thrown down. The guy who had clipped us up on the first two zip lines hadn’t followed us across the second, so they had changed roles. This guy was much quicker at everything. The third line took us back across the river and was longer. I don’t know how I managed it, but I ended up facing the wrong way as I neared the landing platform. So I couldn’t quite see when to brake and had a bit of trouble hooking my brake over the wire! But I managed it and arrived unscathed. The ziplines were really good fun. I love ziplines and these three were great, I especially liked the stick brake! Gabriela had told us not to rush back after the ziplining, we could go for breakfast/lunch whenever we were ready. So we decided to explore the town. There wasn’t much to explore! Jalcomulco is a pretty little town, with some colourful buildings. The church in the zocalo is painted a brilliant bright orange. Going over the bridges on the river, there were some great views. Under one of the bridges you can find signs of the locals’ feelings toward the dam. 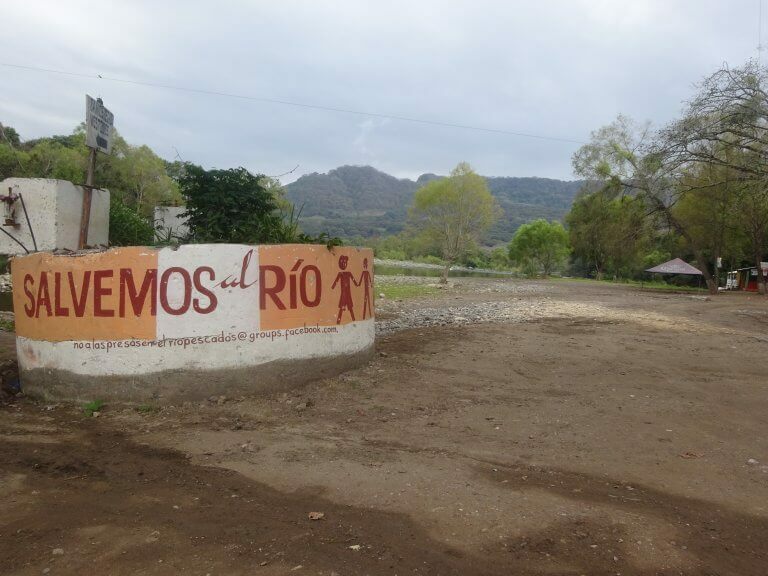 There is a circular block with “No A Las Presas” and “Salvemos Al Río” painted on, slogans from the protest. As we walked back towards the main town it started to rain, so we headed back to the office. Gabriela took us to the restaurant where we’d pulled up on the rafts the day before, Los Cachanes. As it was raining we had to sit inside, but we still had a great view of the river. Here we had a (late) breakfast. It was simple Mexican fare and delicious. There was plenty of it too. 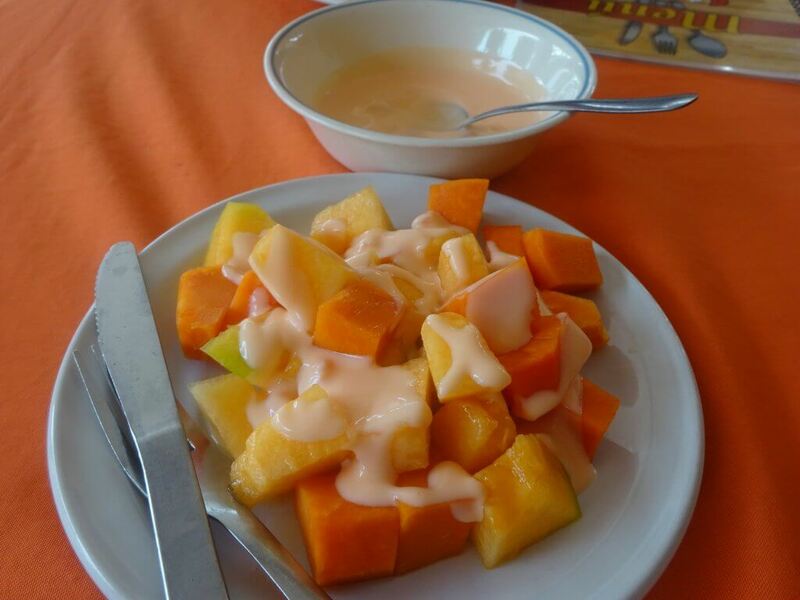 There was fresh coffee and orange juice, we had some fresh fruit with yogurt too. 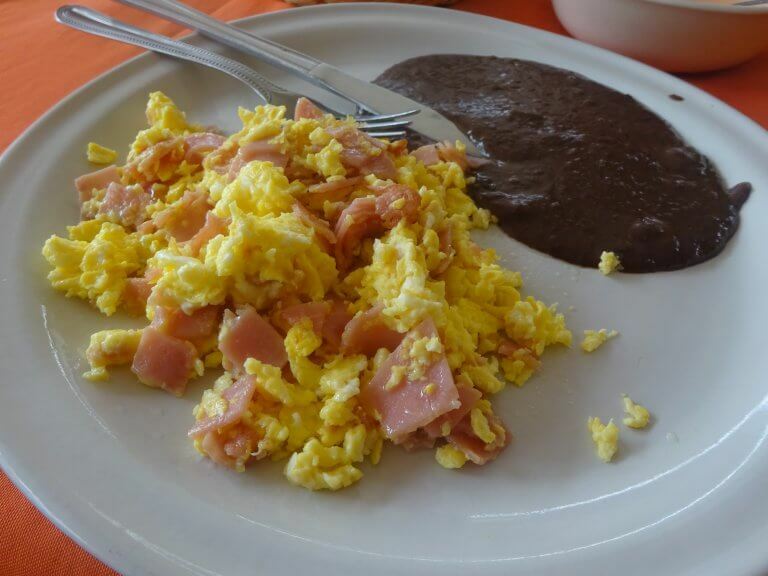 We also had refried beans and eggs with ham, a typical Mexican breakfast. Simple, but good and just what I needed after all the activities of the last twenty-four hours. After our very filling brunch we had two choices, either go back to Xalapa or explore a bit more. Gabriela told us of a walk we could do that takes you to a viewpoint of the town. It wasn’t too far either. As we had nothing to rush back for and it was only just coming up to midday, so we decided to do the walk. Plus it had stopped raining, so why not? All we had to do was head up the road, out of town, as if we were heading up to where we rappelled. But instead of going straight, turn right. It really wasn’t a long walk. After maybe twenty minutes we had climbed quite a bit up a hill and had a great view. There was a half built house here, with stairs on the outside. We climbed up these for an even better view. And here we stayed for while, just enjoying the view. You could see the whole village, the river cutting through it and the surrounding jungle. The half built house was definitely in a great location. I have no idea how long we sat looking at the view. But eventually we tore ourselves away and decided to head back to Xalapa. So back down the hill we went. Before we went to grab our stuff from the hotel we went and said our goodbyes to Gabriela. Mario wasn’t back from litter picking on the river. 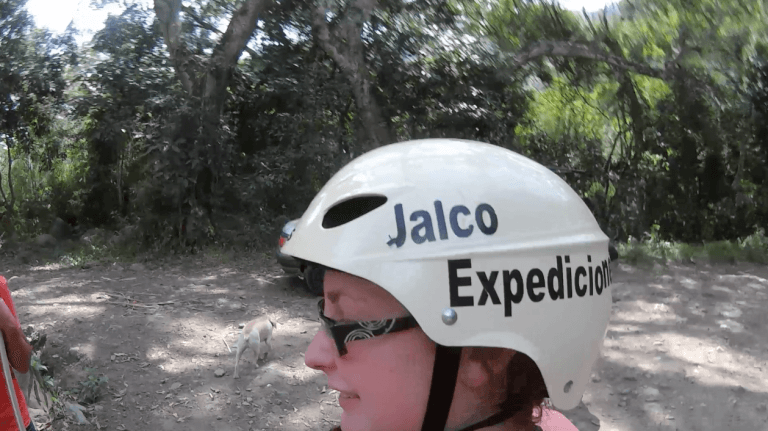 We’d had a great time with Jalco Expediciones and it was actually a little sad to be saying goodbye. I’d love to go back and do more rafting, maybe some canyoning too. There’s so much there for a little town! Getting a taxi back to Xalapa was easy. The taxis actually work as collectivos and park up on the Zocalo. We quickly found one (well, the only one there) that was going in the right direction. So in we hopped, there was another woman, who was going to a town on the way. This is great, it means you get a cheaper fare as you are sharing the taxi. It also makes sense as there isn’t much public transport connecting these towns. Soon we were back in Xalapa, where we made our way back to Carte De Mi Corazón. On our arrival back to the hostel we were welcomed like old friends. Even the bunnies remembered me! 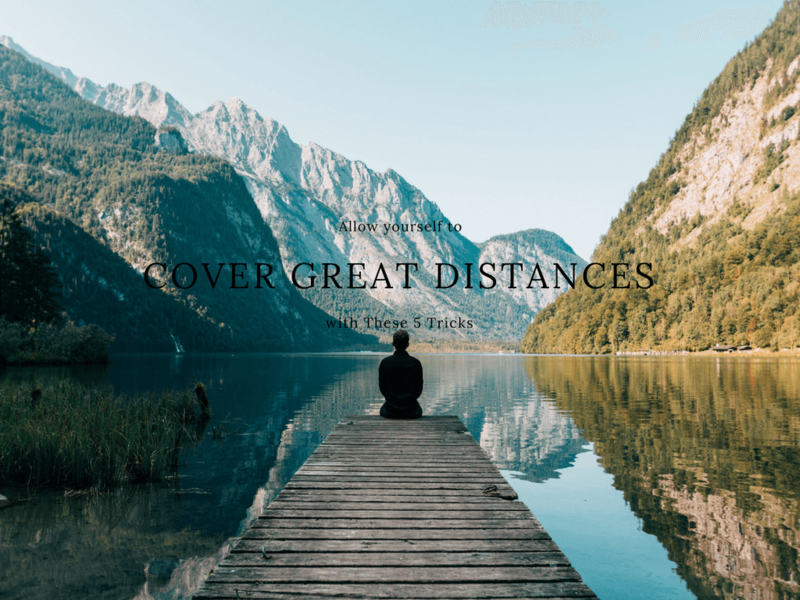 Roxana gives us some great tips for making sure you can cover great distances when you travel.